This is the new international 14 design Cuckoo’s Nest, designed by Dan Holman in the UK. This is the very first sail of this design and is the first of three boats, two more in build. 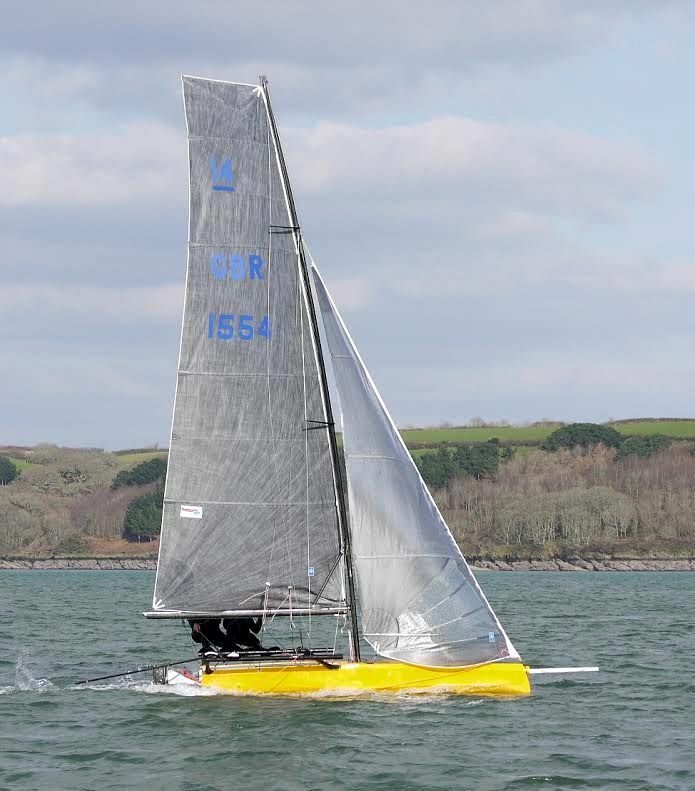 This boat will be on display at the RYA Dinghy show this coming weekend on the Uk 14 stand.